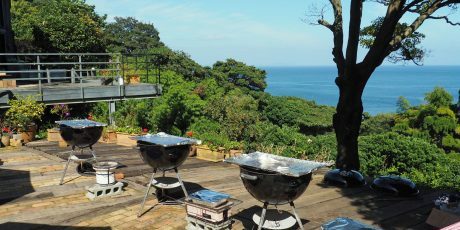 OAG members are invited to join an excursion to the beautiful Manazuru peninsula in Kanagawa Prefecture on Saturday Oct. 3. 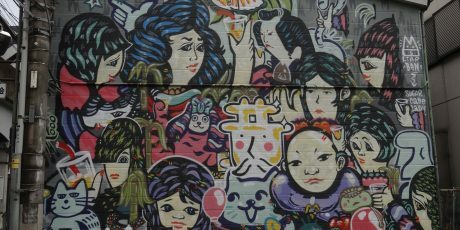 This day trip is planned and led by Japan Times columnist Alice Gordenker, who will guide us in English to the best places to enjoy local history, art, nature and local foods. 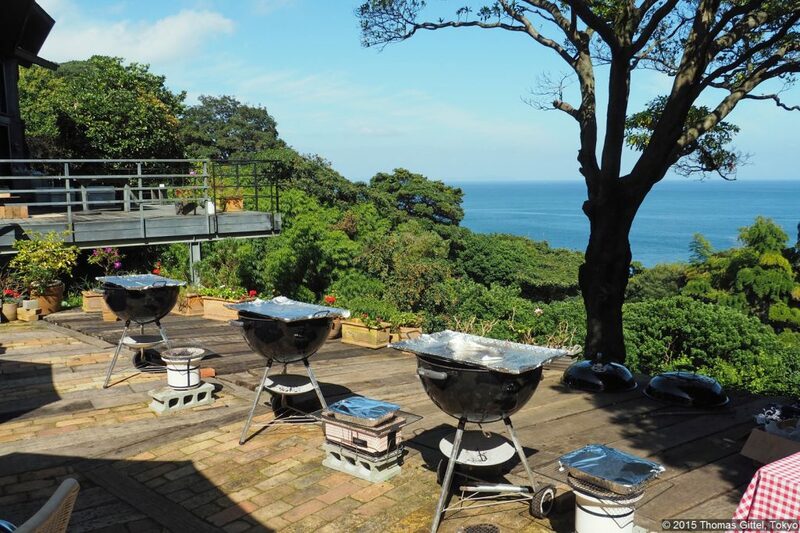 The highlight will be a leisurely gourmet lunch at an organic lemon farm overlooking the sea. 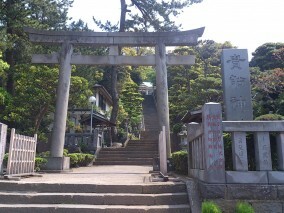 Manazuru is a very old town, traditionally centered on fishing and stone cutting. 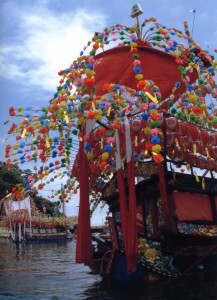 It is most famous for its Kibune Matsuri festival, held every July, and komatsu-ishi, a local stone used in constructing Edo Castle and many traditional Japanese gardens. 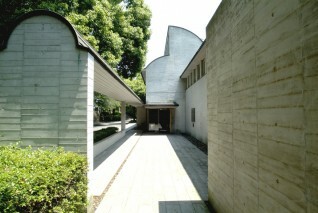 Today, Manazuru is known in city-planning circles for its emphasis on preserving local beauty and nature. 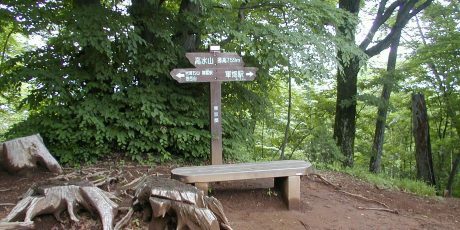 In particular, it is noted for the O-Hayashi („Great Woods“ ), a forest on the end of the peninsula that has been undisturbed since the Edo Period. It creates a unique eco-system in which nutrients from the trees go into the ocean, providing food for a wide range of fish. The group, limited to 20 people, will meet at JR Manazuru at 9:05 am. 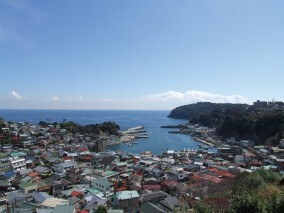 We start with a boat ride into Sagami Bay to get an overview of the geography. 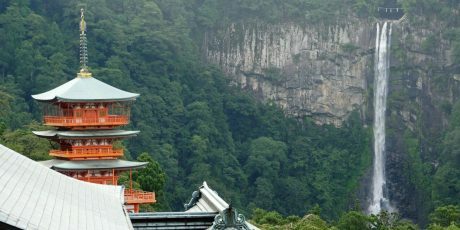 Along the way, we will pass rock quarries and enjoy picturesque views of the Mitsui-ishi Shinto shrine out in the water on the rocks. Be sure to bring your camera! 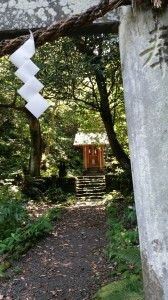 Next, we will visit the Kibune Shrine, founded in the 9th century, where the priest will tell us about the interesting history of its festival as well as how the shrine serves and protects the local stone-cutting and fishing industries. 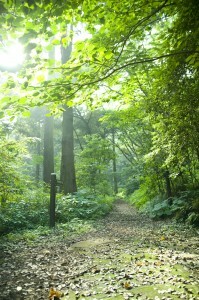 He will take us to a beautiful shrine within the forest, where he will perform for us a Shinto rite. After a walk through the woods, we will break for our lunch overlooking the ocean. 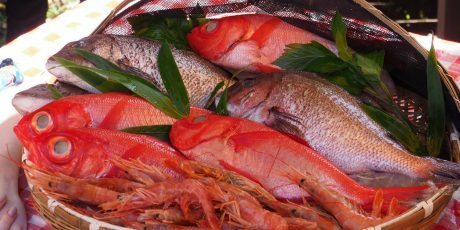 We will grill delicious local seafood including tai (sea bream), aji (horse mackerel), scallops and shrimp. There will also be plenty of fresh organic vegetables, some grown right on the farm, as well as local sausages and steak. 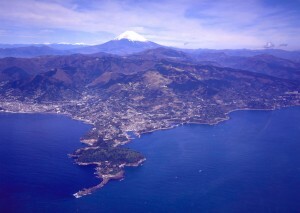 After lunch, we will visit a museum dedicated to painter Kazumasa Nakagawa, who worked in oils to capture local beauty. 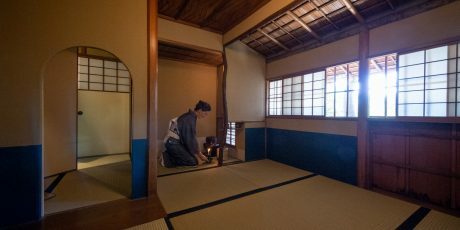 He was an avid collector of Western and Asian art, so in addition to his own paintings, we will see a rarely seen painting by Van Gogh and experience the tea ceremony in a tearoom within the museum. Later we will visit a shell museum, where we can learn about the ocean eco-system, and see a rare shell ‒only three known examples in the world! There will be free time after, in which you can stay longer in the shell museum, take a coffee at a seaside café, explore the woods or go to the rocky shore to walk and hunt for starfish and crabs. We will return to the station around 5 pm. 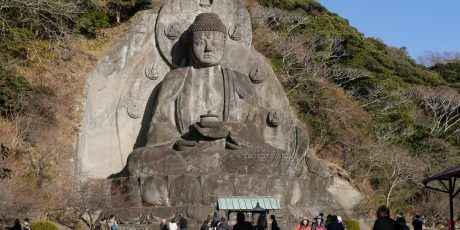 Fee for this excursion is 10,000 yen, which includes lunch, boat trip, museum admissions, tea ceremony as well as all transportation within Manazuru. Please pay your train fare to and from Manazuru. A relatively fast, no-change regular JR Tokaido Line train departs Tokyo station in the direction of Atami at 7:28 (Shinagawa 7:37; Yokoyama 7:55) and arrives Manazuru at 9:03. One-way fare is 1,660 yen from Tokyo (Shinagawa 1,490 yen; Yokohama 1,140 yen). If you buy a Green Ticket before boarding, you can upgrade to the first-class Green Car for 700 yen one way. From Shinjuku, for 2,010 yen you can take the reserved-seating Hakone #3 express on the Odakyu Line arriving at Odawara at 8:41; change to the JR Tokaido train departing 8:50 in direction of Atami, arriving Manazuru at 9:03. One-way ware is 2,010 yen. Or save by taking the Odakyu Line express (kyūkō) departing Shinjuku 7:11 arriving Odawara 8:45; change at 8:50 to the JR Tokaido Line in direction of Atami, arriving Manazuru 9:03. One-way fare is 1,120 yen. It‘s also possible to take the Shinkansen, for example departing Tokyo Station on the Kodama 637 at 7:56, arriving Atami 8:45 and changing to JR Tokaido Line in the direction of Tokyo at 8:50, arriving Manazuru at 8:59. Fare including unreserved seat is 3,870 yen one way. 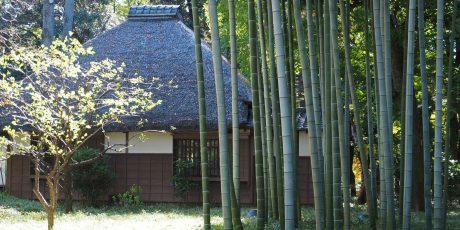 Diese Exkursion wurde von der Präfektur Kanagawa und Frau Gordenker organisiert und ist ein erster Versuch des dortigen Tourismusbüros, in Japan lebenden Ausländern weniger bekannte, aber dennoch touristisch interessante Sehenswürdigkeiten vorstellen. Die Veranstaltung wird von der Präfektur mit 10.000 Yen pro Person bezuschusst. Als „Gegenleistung“ wird von den Teilnehmern erwartet, dass sie am Ende der Tour einen Umfragebogen ausfüllen, der dem Präfekturbüro bei der Planung weiterer Veranstaltungen helfen soll. Das Anmeldeformular ist ab sofort freigeschaltet. Es gilt die Reihenfolge der Anmeldungen. Bitte melden Sie sich nicht im OAG-Büro an! Sollte diese Art von Exkursion auf Interesse der OAG-Mitglieder stoßen, können weitere Veranstaltungen organisiert und möglicherweise auch exklusiv für OAG-Mitglieder angeboten werden. 10.000 Yen für das Programm, zuzüglich Fahrtkosten nach Manazuru und zurück. Von JR Tokyo oder JR Shinjuku zwischen ca. 2.000 und 4.000 Yen pro Fahrt je nach Bahn. Fahrtzeit: mindestens 90 Minuten.